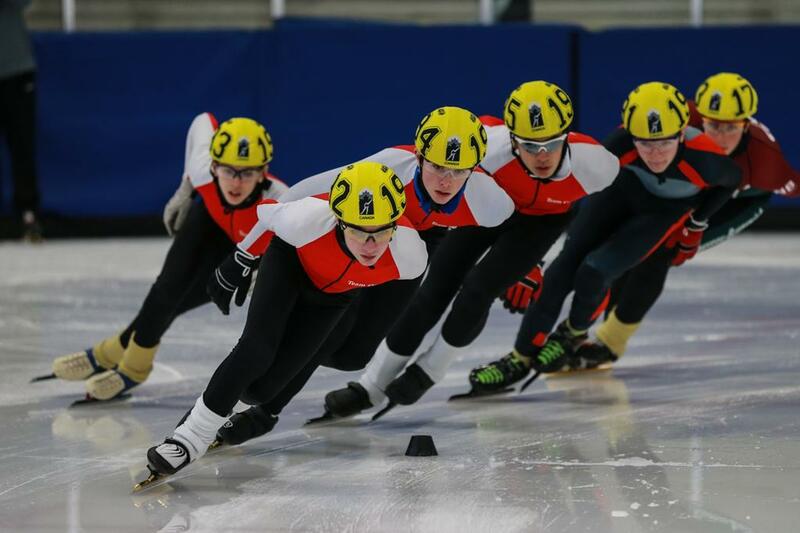 Congratulations to our KW Cobras Claudia Heeney, Christopher Langridge and William Gibbons who competed with other skaters across Eastern Canada at the 2015 Canada East Short Track Championships in New Brunswick! All Cobras impressively cracked the top 10 in overall results for their age groups and proudly wore Team Ontario red over the two day competition. Check out our ‘Cobra Achievements’ tab for details on placements. 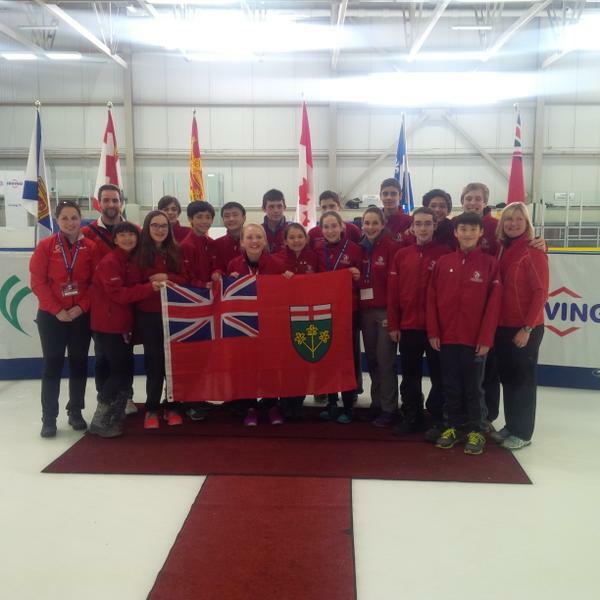 Special thanks to our coach Julie Walsh for supporting all Team Ontario skaters at the event. Way to go Team Ontario, your KW Cobra family is so proud of you!! Christopher Langridge leads his Team Ontario teammates in the 1500m distance at Canada East.